Following a coast to coast sold out tour of North America, acclaimed rock duo and basically everyone’s favorite band ever Tenacious D -- comprised of Jack Black and Kyle Gass -- will be taking one of 2018’s most talked-about series/albums across the pond for a very special, two-night-only show run at London’s The SSE Arena, Wembley. The band are touring in support of their latest release, the brilliant Post-Apocalypto, which is both an animated series AND an album of rock ‘n’ roll greatness. Post-Apocalypto - THE SERIES - is an original, six-part animated video series from the minds of Tenacious D. Each frame of every episode was hand-drawn by Jack himself, with every character voiced by Black and Gass. All six episodes feature new Tenacious D songs, culminating in the new Tenacious D album -- also called Post-Apocalypto -- available on DSP’s and in stores now. Produced by John Spiker, and featuring long-time collaborator Dave Grohl on drums, Post-Apocalypto - THE ALBUM - is a genius addition to The D’s already scintillating catalogue of rock greatness. 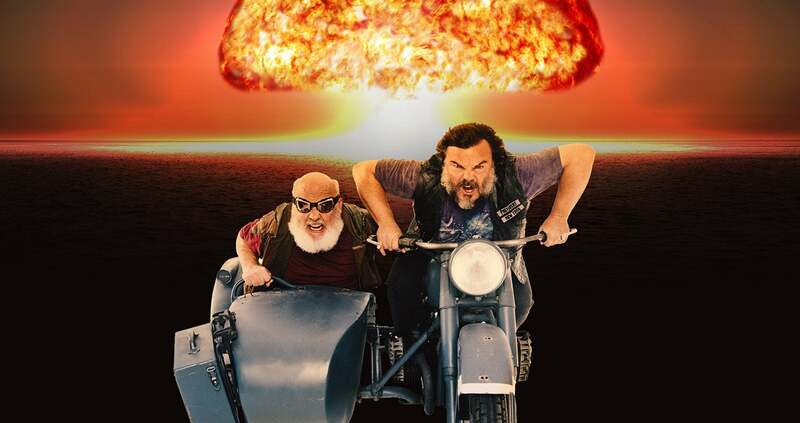 True to the title, Post-Apocalypto finds Tenacious D thrust into a world of complete and utter destruction following the drop of an atomic bomb. Surviving the attack in classic cinematic fashion (a good old imperishable 1950’s refrigerator), the duo quickly learns that new forms of evil have spawned from the blast. One thing becomes apparent -- for humanity to prevail, Tenacious D must save the world.